The fort at Rubha nan Oirean is in an impressive position overlooking the entrance to Calgary Bay about 300 m NNW of Rubha nan Oirean. It can be reached on foot following the coastal path from Calgary Pier, although the going is hard in places. 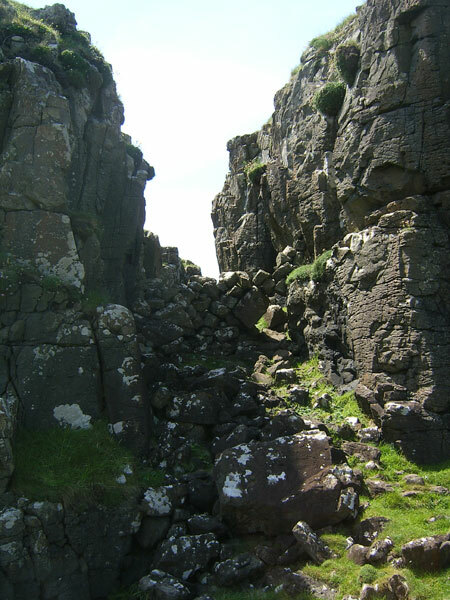 There are narrow cliff paths and some clambering over boulders is required. Access to the summit is gained by climbing over a length of walling built across the gully on the east side. It is thought that several grassy platforms in the interior may represent hut sites. 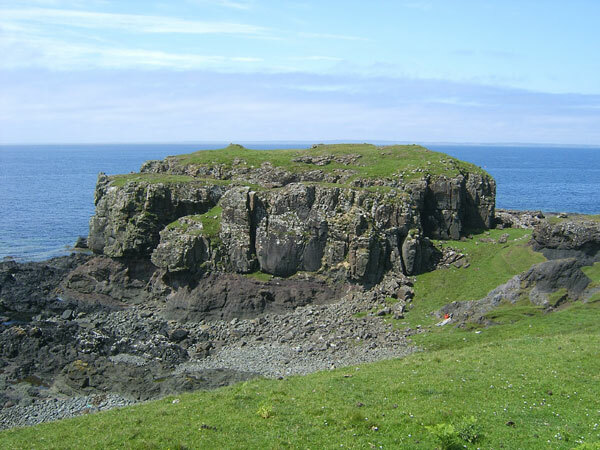 The fort occupies the summit of the north-western area of a fissured coastal stack. It is protected by vertical and overhanging rock faces ranging in height from 5.0 m on the south east to 27.0 m on the WSW. The summit measures 42.0 m by 24.0 m and is accessed via a rocky ‘staircase’ situated about midway along the north-west face of a rocky gully that bisects the stack. The fort wall is best preserved on the north-east edge of the summit, where it appears as a low grass-covered stony bank or scarp. Some isolated stones and short stretches of the outer face can still be seen. An isolated scatter of stony debris to the west of the ‘staircase’ probably indicated that the wall continued along most of the south-east side. Elsewhere, artificial defences were unnecessary due to the height of the cliffs. Three further short lengths of walling complete the defences. Two block each end of the central gully. The third is built across the outer end of a transverse cleft on the south-east side of the stack. 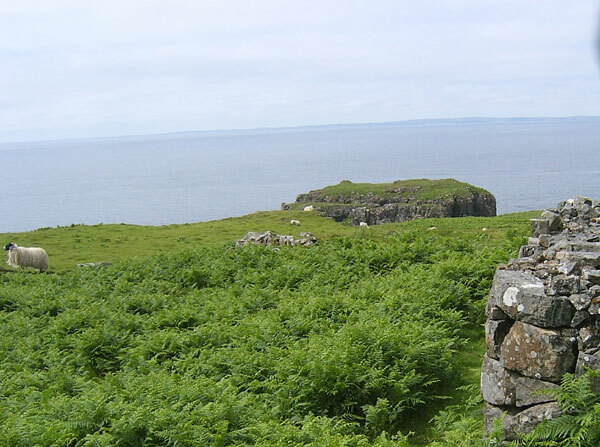 For a guided walk to the Fort with Mull Magic or free help and advice on your route click here.